199360197 -Narrative medicine is a fresh discipline of health care that helps patients and health professionals to tell and listen to the complex and unique stories of illness. The Principles and Practice of Narrative Medicine expresses the collective experience and discoveries of the originators of the field. Arising at Columbia University in 2000 from roots in the humanities and patient-centered care, narrative medicine draws patients, doctors, nurses, therapists, and health activists together to re-imagine a health care based on trust and trustworthiness, humility, and mutual recognition. bear witness to what they undergo. 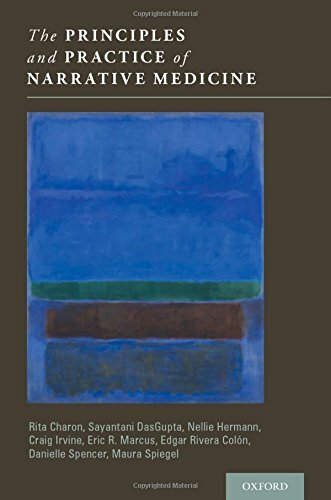 Narrative medicine training in literary theory, philosophy, narrative ethics, and the creative arts increases clinicians’ capacity to perceive the turmoil and suffering borne by patients and to help them to cohere or endure the chaos of illness. Narrative medicine has achieved an international reputation and reach. Many health care settings adopt methods of narrative medicine in teaching and practice. Through the Master of Science in Narrative Medicine graduate program and health professions school curricula at Columbia University, more and more clinicians and scholars have obtained the rigorous training necessary to practice and teach narrative medicine. This text is offered to all who seek the opportunity for disciplined training in narrative medicine. By clearly articulating our principles and practice, this book provides the standards of the field for those who want to join us in seeking authenticity, recognition, affiliation, and justice in a narrative health care.